The Fitzroy Baseball Club, known as the Fitzroy Lions, is a baseball club founded in 1889 to represent the inner Melbourne suburb of Fitzroy, Victoria. The club was a founding member of the Victorian Baseball League, Victoria's first organised baseball competition. 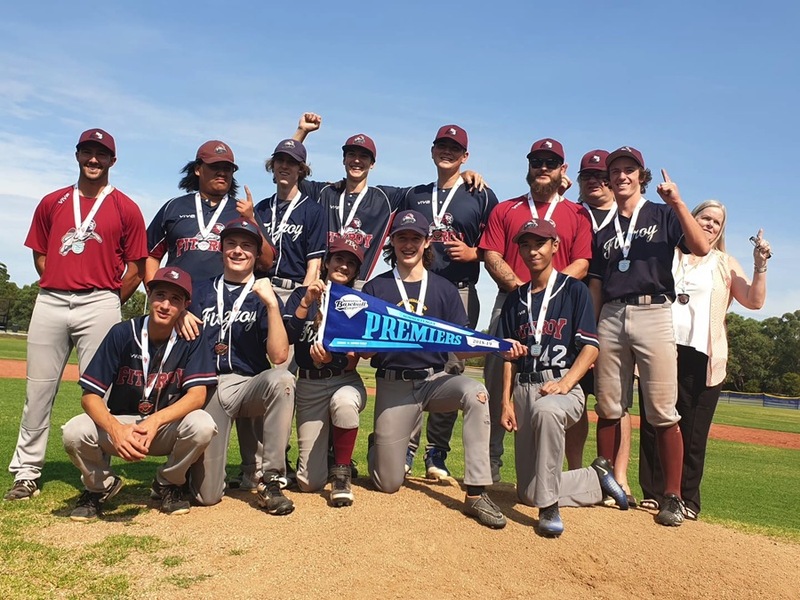 Fitzroy has won 16 Division 1 championships and currently has seven senior teams competing in the Baseball Victoria Summer League, as well as junior sides representing the club at every age level. Contact us to register your interest today. Congratulations to our Under 18 Premiers - defeating Geelong 4-3 in a closely fought game! In the third interview of our series on Fitzroy Baseball Club Life Members, we speak to one of our past Presidents Peter Hooper who together with his late wife Joan and two sons Ian and Greg made a significant contribution to our club for many years. In fact the Hooper family has three Life Members, Peter, Joan and son Greg a great achievement and recognition of the family's valued support over a very long time that is still ongoing to the present day. Read the story of his time at the club via the link below. All interviews in the series so far can be found here.